Pop Rocks® the funniest stocking stuffer in Stevie´s philantropic project. 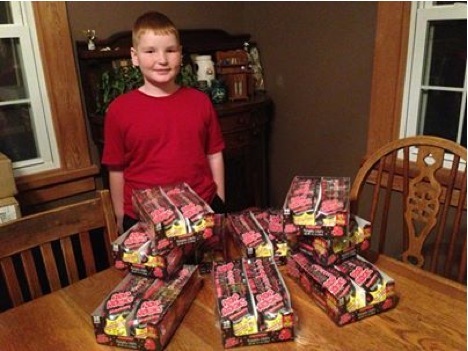 Stevie Nelson´s, one of the most active youth philantropists in America, had a strong wish to help out kids in need in the holiday season and Pop Rocks® wanted to cooperate with him providing something that is extremely valuable for kids: LOTS OF FUN! Pop Rocks® made a donation of candy to prepare the most unique and fun stocking stuffers for Stevie´s project (http://stevienelson.weebly.com/), which was a great success.We want to thank Steve for his energy, igniting the power of all kids and teens to make their mark on the world. Pop Rocks® really feels proud to co-operate with young kids like him, who enjoy life and bring joy to those around them through volunteerism and community help.